Take a look at our latest special offers to some of our favourite hotels and resorts. Our team are always securing some of the best offers in luxury travel and this is just a selection of what we have to offer. Make sure to give our expert travel advisers a call on 01 431 9700 for any queries or to book. 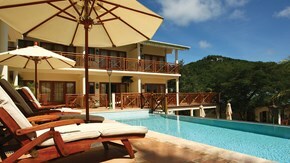 7 nights from €1,985 per person sharing an Ocean Front Villa on All-Inclusive. 7 nights from €2,655 per person for a Single Garden View Room on All-Inclusive. 7 nights from €1,899 per person sharing a Deluxe Resort View Room on All-Inclusive. 7 nights from €1,945 per person sharing a Deluxe Resort View Room on All-Inclusive. 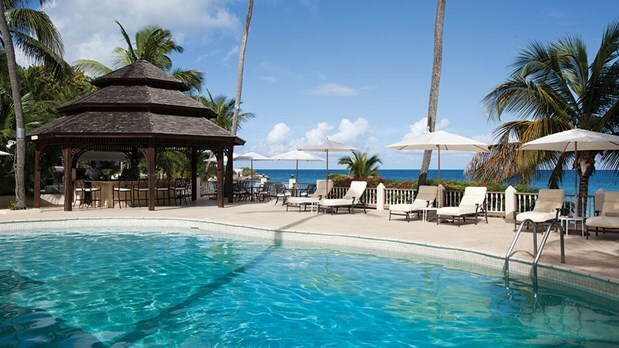 7 nights from €2,149 per person sharing a Deluxe Garden Harmony on All-Inclusive. 7 nights from €2,419 per person sharing a Classic Standard Room on All-Inclusive. 7 nights from €1,789 per person sharing a Pool/ Garden View Room including breakfast. 7 nights from €1,969 per person sharing a Garden View One Bedroom Suite including breakfast. 7 nights from €2,019 per person sharing a Pool/ Garden View including breakfast. 7 nights from €2,359 per person sharing a Garden View Junior Suite including breakfast. 7 nights from €1,159 per person sharing a Deluxe Room Resort View including breakfast. 7 nights from €1,419 per person sharing a Citadel Deluxe Room Resort View including breakfast. 7 nights from €1,019 per person sharing a Double Superior Room including breakfast. 7 nights from €1,319 per person sharing a Promo Double Room on All-Inclusive. To find out more about our latest special offers or for any enquiries about luxury tailormade holidays, give our expert travel advisers a call on 01 431 9700 or fill out the form below. 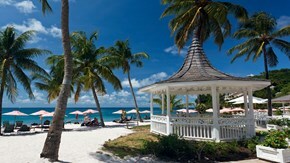 There’s a wonderful laid back Caribbean vibe at Blue Waters and our clients love the charming and friendly service. Bartley’s restaurant and Veronica’s poolside bar are both named after long serving members of staff - Mrs Bartley has been a housekeeper at Blue Waters for over 50 years! If you’ve ever struggled to read a menu in the candlelit ambience of a fine dining restaurant, you’ll love the illuminated menus at the Cove - such a simple idea but utterly genius!